I wish I had a photo of the buns but I ate them before I got a chance to take one. They were absolutely amazing - perfectly cooked, seasoned etc. I got the pork ramen (even though I don't eat pork) but the flavor was too good to pass up. You will definitely need a reservation unless you come here on the early side. We arrived at 630/645 and just missed the dinner rush. Be warned it is super warm inside since they are constantly pumping out hot bowls of noodles and you're usually seated pretty close to the kitchen. I don't normally like to visit the same restaurant twice but I will definitely be coming back here. The modern is incredible. 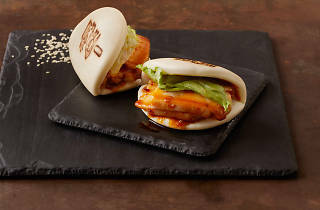 The pork buns are like crack! They are so good. There is a reason customers are queued up before they open the doors. The Broth is the best in the city!! Don't be scared of the wait! it's worth it. The ramen is delicious and what a fun atmosphere! I have never seen this place without a wait, and it is easy to understand why. 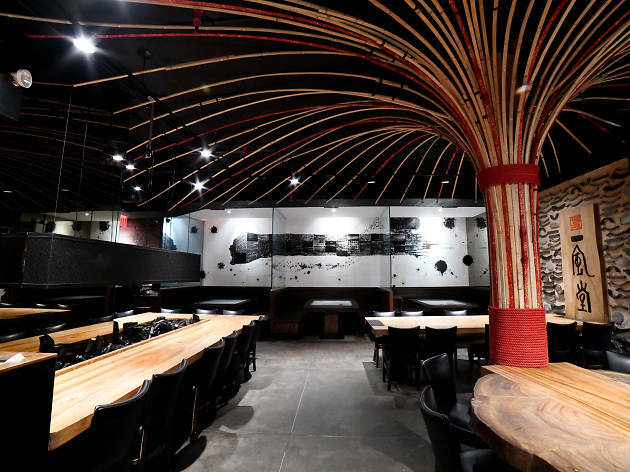 The bustling atmosphere with a view of the kitchen, convenient location (right off the Astor Place subway stop) and fast service paired with some of the best ramen in NYC obviously makes for a hit dining destination. Once in a while, dining solo will get you ahead of the long wait - but there's something special about the shared experience of slurping udon with a friend that cannot be denied. 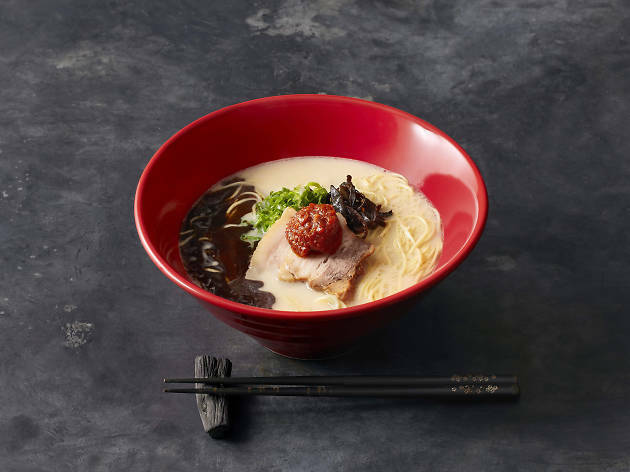 You obviously can't go wrong ordering the classic ramen, but the Karaka-men is a clear winner for those who like spicy dishes. While the big chef name keeps the lines coming at Mu Ramen, this place keeps people coming back with genuinely delicious food. 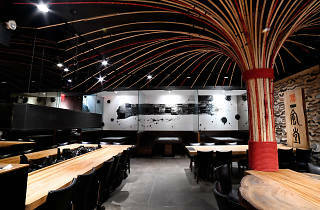 The ramen is undeniably delicious and definitely one of the top three spots in the city. The Japanese chain hand pulls its own noodles and stuffs a mean dumpling. Oh and don't even get me started on the scrumptious shosito peppers. Be prepared to wait though for hours, yes, hours. In my opinion it doesn't warrant a two-hour wait but you decide for yourself. 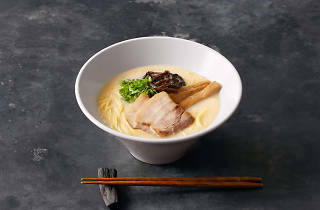 You really can't go wrong with any of the ramen dishes--even the vegetarian. Remember to save some broth at the end and they'll let you order an extra helping of noodles. Theres a reason this place has a wait time of over an hour on week-nights, and boy is it worth it. Don't be discouraged by the wait time, but be smart and get your name down on the list early. If you fancy hanging out, get some Sake at the bar, and make sure you order the pork buns. 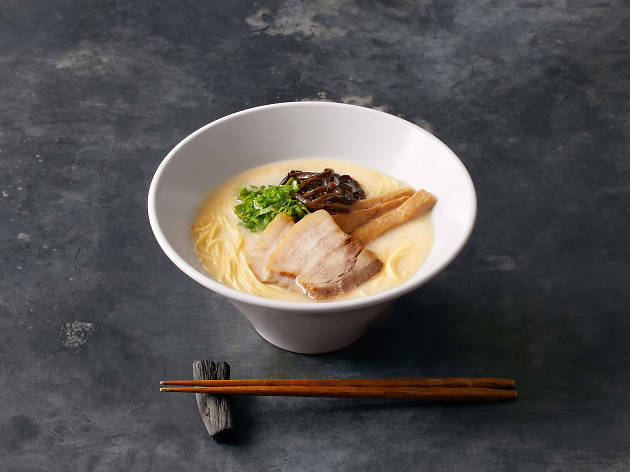 Save space for the ramen though, you'll want to enjoy the fact that it's house-made and beautifully served with fresh ingredients in a complex broth that has both a rich flavor and depth. Akamaru ramen is a classic must-try. 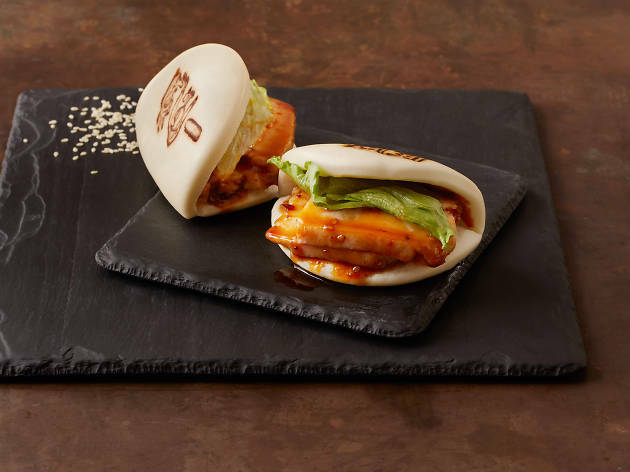 The pork buns are also a great way to start off the meal! I recommend leaving your name around 1.5 hours before you want to have dinner and wander around St. Marks place to kill some time. Such a fun restaurant experience and the food is so delicious! !